LantanaSemi-evergreen shrub. As the name says, this Lantana looks like ham and eggs with it's yello..
LantanaSemi-evergreen shrub. 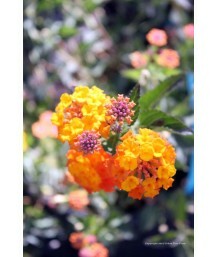 'Star Landing' is a classic yellow/orange flowering lantana. Continuous..
LantanaSemi-evergreen shrub. Profusion of both beautiful lavender flowers cover this widely spreadin..
Sweet Bay/Grecian LaurelEvergreen shrub. Moderate growth rate with broadly oval form. Eventually bec..
Sweet Bay HybridEvergreen shrub. Moderate growth rate with a much smaller habit than the straight sp..
Sweet Bay HybridEvergreen shrub. Leathery, dark green leaves are aromatic when bruised. Can be used ..
Sweet Bay/Grecian LaurelEvergreen shrub. Pruned into a column shape. Moderate growth rate with broad..
LavenderEvergreen shrub. Moderate growth rate with densely rounded form. Narrow, fuzzy silver/gray l..
Variegated LavenderEvergreen shrub. Yellow edged gray-green leaves. Light lavender-blue flowers in s.. Dwarf English LavenderEvergreen shrub. Snow white flower spikes fill the air with their sweet fragra.. Dwarf English LavenderEvergreen shrub. Dwarf, mounding habit. Fragrant, dark blue flowers bloom in s..
English LavenderEvergreen shrub. Moderate growth rate with rounded form. Grayish/green narrow leaves..
English LavenderEvergreen shrub. Moderate growth rate with compact, rounded form. Considered to be a..
English LavenderEvergreen shrub. Moderate growth rate with compact, rounded form. Narrow green leave..
English LavenderEvergreen shrub. 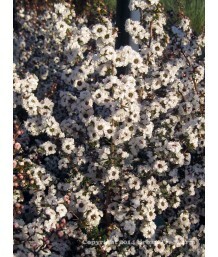 Pale pinkish white flower spikes fill the air with their sweet frag..
English LavenderEvergreen shrub. Moderate growth rate with rounded form. Narrow green leaves. Lavend..
Variegated English LavanderEvergreen shrub. Moderate growth rate with rounded form. Grayish/green na..
English LavenderEvergreen shrub. 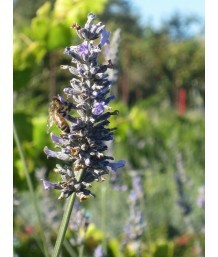 This cultivar of English lavender has more space between the whorls.. Dwarf English LavanderEvergreen shrub. Moderate growth rate with rounded form. Grayish/green narrow ..
French LavenderEvergreen shrub. Moderate growth rate with rounded form. Narrow, fuzzy gray/green lea..
French LavenderEvergreen shrub. Moderate growth rate with rounded form. Narrow, fuzzy green leaves. ..
Sweet LavenderEvergreen shrub. Very upright habit. Fragrant green foliage. Thin, dark violet-blue fl.. Hedge LavenderEvergreen shrub. Upright growth habit. New growth is green aging to gray. Fragrant lav..
White Hedge LavenderEvergreen shrub. Flower spikes have white petals and gray-green sepals in green .. Hedge LavenderEvergreen shrub. Moderate growth rate with densely-rounded form. Narrow silver/gray fo.. Hedge LavenderEvergreen shrub. Moderate growth rate with rounded form. Grayish/green narrow leaves. .. Hedge LavenderEvergreen shrub. Moderate growth rate with rounded form. Narrow green leaves. Lavender.. 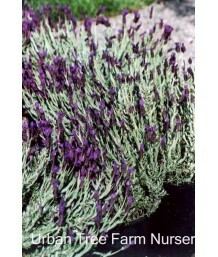 Lavender HybridEvergreen shrub. 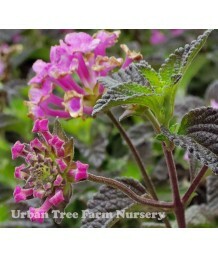 Purple flower spikes fill the air with their sweet fragrance all sum..
Fernleaf LavenderEvergreen shrub. Frost-tender; does not do well in Zone 14. Moderate growth rate wi..
LavenderEvergreen shrub. 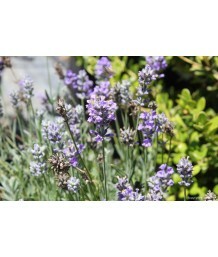 This unusual lavender has loose upright growth with gray feathery leaves th..
Spanish LavenderEvergreen shrub. Neat and rounded habit. They are highly fragrant and bloom white ov..
Spanish LavenderEvergreen shrub. Inch long narrow leaves and short unbranched inflorescences bearing..
Spanish LavenderEvergreen shrub. Narrow green leaves liberally dotted in spring and summer by short ..
Spanish LavenderEvergreen shrub. Moderate growth rate with densely-rounded form. Narrow, grayish/gre..
Spanish LavenderEvergreen shrub. Upright, dense shrub. 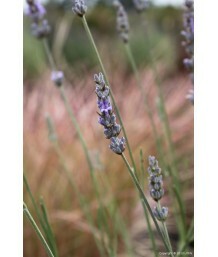 Narrow blue-grey leaves liberally dotted in s..
Spanish Lavender HybridEvergreen shrub. Narrow silver-green leaves liberally dotted in spring and su..
Yellow LavenderEvergreen shrub. Rounded habit. Narrow green leaves liberally dotted in spring and su..
CA Tree MallowEvergreen shrub. 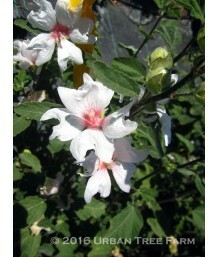 Flowers are white with red stripes or red with white stipes, and 2-3"..
Tree MallowEvergreen shrub. Fast growing with loosely branching form. Grayish/green palmate leaves. ..
Tree MallowEvergreen shrub. Pruned into a small, single trunk patio tree. 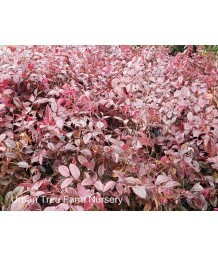 Fast growing with loosely ..
Bush MallowEvergreen shrub. Soft grey-green foliage. 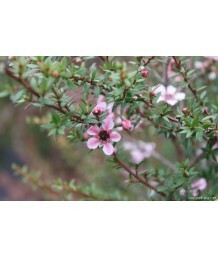 Showy light pink flowers with a rose-pink eye a..
Bush MallowEvergreen shrub. Pink flowers start out almost white with a dark red-pink eye. Blooms in ..
Bush MallowEvergreen shrub. Showy deep pink flowers all summer. Attracts butterflies. Low water need..
Bush MallowEvergreen shrub. Dark green foliage. 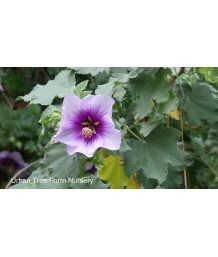 Deep pink to near-red Hollyhock-like flowers appear ..
Bush MallowEvergreen shrub. Soft gray-green foliage. Flat pink petals with dark veins and a white ce.. Lion's TailDeciduous to Evergreen shrub. Hardy to 20-25° F. Erect growth habit. Dark green, long nar.. Tea TreeEvergreen shrub. 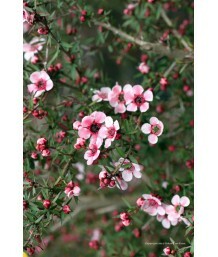 A fast growing spreading shrub or small tree. Although attractive in flower.. Tea TreeEvergreen shrub. Pruned into a column shape. A fast growing spreading shrub or small tree. A..
Prickly Tea TreeEvergreen shrub. Attractive low grower with dark green foliage and profuse white flo.. Compact Australian Tea TreeEvergreen shrub. Slow compact growth. Bigger leaves than regular leptospe.. Tea TreeEvergreen shrub. 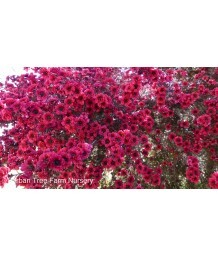 Large, lavender-pink flowers bearing dark green centers appearing in spring..
New Zealand Tea TreeEvergreen shrub. Hardy down to 20 degrees. Upright growth habit. Tiny-needle lik..
New Zealand Tea TreeEvergreen shrub. This is an upright, dense growing evergreen shrub with dark bur..
New Zealand Tea TreeEvergreen shrub. Moderate growth rate with dense and broad, upright oval form. ..
New Zealand Tea TreeEvergreen shrub. Moderate growth rate with dense and broad, upright oval form. T..
New Zealand Tea TreeEvergreen shrub. Trained to grow along a stake in the center of the container. M..
New Zealand Tea TreeEvergreen shrub. Pruned into a single trunk tree. Moderate growth rate with dens.. Dwarf Tea TreeEvergreen shrub. Dense, dwarf habit. Tiny dark green leaves. Single rose pink flowers ..
New Zealand Tea TreeEvergreen shrub. Moderate growth rate with small dense round form. Tiny needle-l..
New Zealand Tea TreeEvergreen shrub. Upright, dense evergreen shrub with dark red leaves and single,..
New Zealand Tea TreeEvergreen shrub. Pruned into a single trunk tree. Upright, dense habit with dark..
New Zealand Tea TreeEvergreen shrub. This is a dense, compact, evergreen shrub with a profuse showin..
Shining Tea TreeEvergreen shrub. Silky gray-green lance-shaped leaves with a bronze-tint to the new ..
Safari ConebushEvergreen shrub. Upright habit. More frost hardy than other varieties. Bright red bra..
Safari ConebushFrost-tender evergreen shrub. Not suited for Zone 14. Attractive blue-green foliage g..
ConebushEvergreen shrub in mild climates. Dense growth habit. Narrow leaves in spring and summer are..
ConebushEvergreen shrub in mild climates. Dense growth habit. 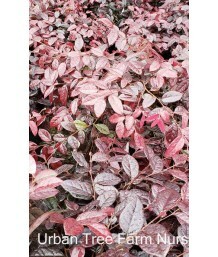 Narrow leaves are rich purplish red in..
Japanese/Wax-Leaf PrivetEvergreen shrub. Fast growing with very dense, broadly-oval form. Thick, glo..
Nobel PrivetEvergreen shrub. Glossy green leaves and a more narrow habit of growth make this a perfe..
Texas PrivetEvergreen shrub. Fast growing with very dense, broadly-oval form. Thick, glossy dark-gre..
Texas PrivetEvergreen shrub. Pruned into an ornamental shape with two stacked sections. Fast growing..
Texas PrivetEvergreen shrub. Pruned into an ornamental shape with three stacked sections. Fast growi..
Texas PrivetEvergreen shrub. Pruned into a column shape. Fast growing with very dense, broadly-oval ..
Texas PrivetEvergreen shrub. Pruned into a small, single trunk patio tree. Fast growing with very de..
Texas PrivetEvergreen shrub. This specimen is pruned into an ornamental, styalized pom-pom shape. Fa..
Texas PrivetEvergreen shrub. Pruned into a pyramid shape. Fast growing with very dense, broadly-oval..
Texas PrivetEvergreen shrub. Trained to grow on a trellis. 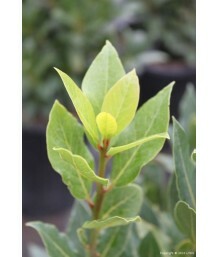 Fast growing with very dense, broadly-ova..
Variegated Wax-Leaf PrivetEvergreen shrub. Fast growing with very dense, broadly-oval form. Thick, g..
Japanese/Wax-Leaf PrivetEvergreen shrub. Pruned into a single trunk tree. Fast growing with very den..
Glossy PrivetEvergreen shrub. Very fast growing with rounded canopy. Glossy, medium-green, oval-shap..
Chinese PrivetEvergreen shrub. Moderate growth. 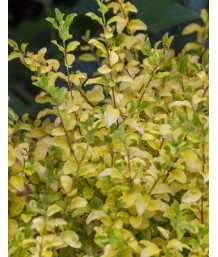 Dense small foliage is bright golden-yellow green, r..
Vicary Golden PrivetDeciduous shrub. Upright form. Bright golden foliage lasting all season. Fall co.. Box HoneysuckleEvergreen shrub. Graceful growing habit with rounding, arching branches covered with .. Box HoneysuckleEvergreen shrub. 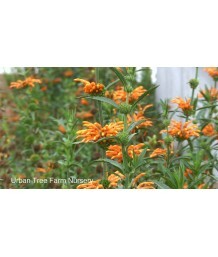 Upright horizontal branches have small green leaves with a golden ed.. Box HoneysuckleEvergreen shrub. Small leaves have red new growth that matures to dark green with hin..
New Zealand MyrtleEvergreen shrub. Fast growing. Frost tender. 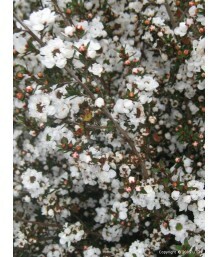 Small, oval foliage in creamy white, ..
New Zealand MyrtleEvergreen shrub. Can be frost tender in colder climates. Globe-shaped moderate gro..
Chinese Fringe FlowerEvergreen shrub. Pruned into a column shape. Rounded form with arching branches..
Chinese Fringe FlowerEvergreen shrub. Rounded form with arching branches. Pink fringe flowers appear.. Ever Red Chinese Fringe FlowerEvergreen shrub. Rounded form with arching branches. Red fringe flower..
Chinese Fringe FlowerEvergreen shrub. Rounded form with arching branches. Dark pink to red fringe fl..
Chinese Fringe FlowerEvergreen shrub. Rounded form with arching branches. Dark pink fringe flowers a..
Chinese Fringe FlowerEvergreen shrub. Pruned into a column shape. Naturally a rounded form with arch..
Chinese Fringe FlowerEvergreen shrub. Rounded form with arching branches. Deep pink fringe flowers a..
Chinese Fringe FlowerEvergreen shrub. Rounded form with arching branches. White fringe flowers appea.. Dwarf Chinese Fringe FlowerEvergreen shrub. Compact habit with arching branches. Great for borders a..
Chinese Fringe FlowerEvergreen shrub. First ever variegated loropetalum. Rounded form with arching b..
Chinese Fringe FlowerEvergreen shrub. Rounded form with arching branches. 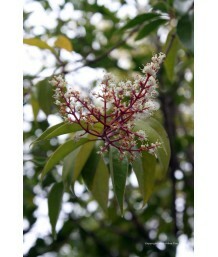 Can be used as mass planti..
Chinese Fringe FlowerEvergreen shrub. Fuzzy small green leaves on arching branches. Pink fringe-like..
Chinese Fringe FlowerEvergreen shrub. 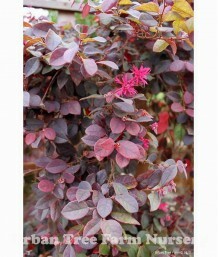 Long, narrow, very rich burgundy foliage is the perfect backdr..
Chinese Fringe FlowerEvergreen shrub. Pruned into a single trunk tree. Rounded form with arching bra..
Chinese Fringe FlowerEvergreen shrub. Dwarf, rounded form with arching branches. Pink fringe flowers..
Chinese Fringe FlowerEvergreen shrub. Clusters of raspberry red fringed flowers appear throughout th..
Chinese Fringe FlowerEvergreen shrub. Pruned into a single trunk tree. Clusters of raspberry red fri..
Chinese Fringe FlowerEvergreen shrub. Rounded form with arching branches. Raspberry red fringe flowe..
Chinese Fringe FlowerEvergreen shrub. Fuzzy small greenish-red leaves on arching branches. Red fring..
Chinese Fringe FlowerEvergreen shrub. This is a compact evergreen shrub that produces bronze-red new..
Chinese Fringe FlowerEvergreen shrub. Pruned into a single trunk tree. 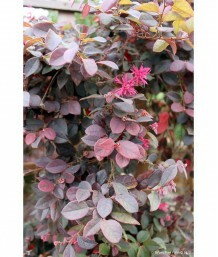 Produces bronze-red new growt..
Chinese Fringe FlowerEvergreen shrub. 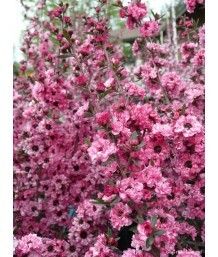 Clusters of rich, pink fringed flowers repeat throughout the y..
Chinese Fringe FlowerEvergreen shrub. Moderate growth. Olive-green leaves along arching branches. Wo..
Chilean MyrtleEvergreen shrub or small tree. Rounded dark green leaves are fragrant like lemon when ..
Variegated Chilean MyrtleEvergreen shrub. Cinnamon bark peeling in patches and tiny, evergreen leave..
CA Silver Bush LupineEvergreen shrub. A beautiful large fast-growing upright shrub with silvery palm..
California Native Silver Bush LupineEvergreen shrub. A beautiful low growing lupine with silvery pal..
Silver Bush LupineEvergreen shrub. California native. Narrow silvery leaves. Spikes of blue-purple f..
CA Native Bush LupineEvergreen shrub. Rounded, open shrub with green leaves has many spikes of fragr..
California Native Bush LupineEvergreen perennial. Rounded, open habit. Fast growing. Native to coast..
CA Native Bush LupineEvergreen shrub. Native to California coastal areas. Clusters of spring flowers..
CA Native Bush LupineEvergreen shrub. The bush is 4' silver mound. Clusters of purple flower spikes ..
Summer Lupine/Western LupineEvergreen shrub. Silvery gray-green leaves. Fragrant blue flowers bloom ..
Variegated Paraguayan NightshadeEvergreen shrub. Fast growing. Violet colored flowers. White and gre..